As the end of summer approaches, our hair is lacking the bounce and luminosity it possessed just a few short months ago. Summer activities (and parties) have taken their toll, and our once-healthy strands may be looking dry, dull, or brittle. Hikes, beach days, and pool parties are practically required summer activities in our book, but they also mean your hair is getting exposed to the sun on an almost daily basis. Suffice to say, it’s likely that all of us could benefit from some major hair recovery. A good hair mask can do just the trick, bringing hydration and shine back into dull and lifeless strands while reversing a summer’s worth of damage in just one go. We’ve rounded up some of the best treatments out there, from luxurious picks to drugstore gems. Keep scrolling to find the hair mask that will save your strands! 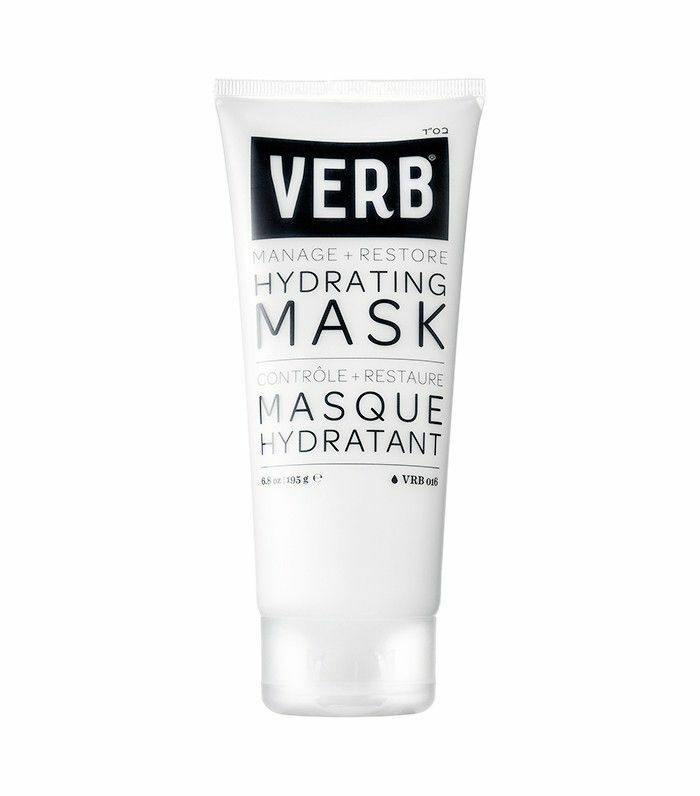 This mask from Verb is thick and rich enough to leave your tresses feeling hydrated, soft, and silky, but it won’t weigh your hair down or leave any residue. The formula includes natural ingredients like glycerin, which binds moisture to the hair, and babassu oil, which nourishes and hydrates your strands for noticeably softer hair. This mask from Joico is a steal at only $5, but the results and ingredients could match its most luxurioous counterparts. 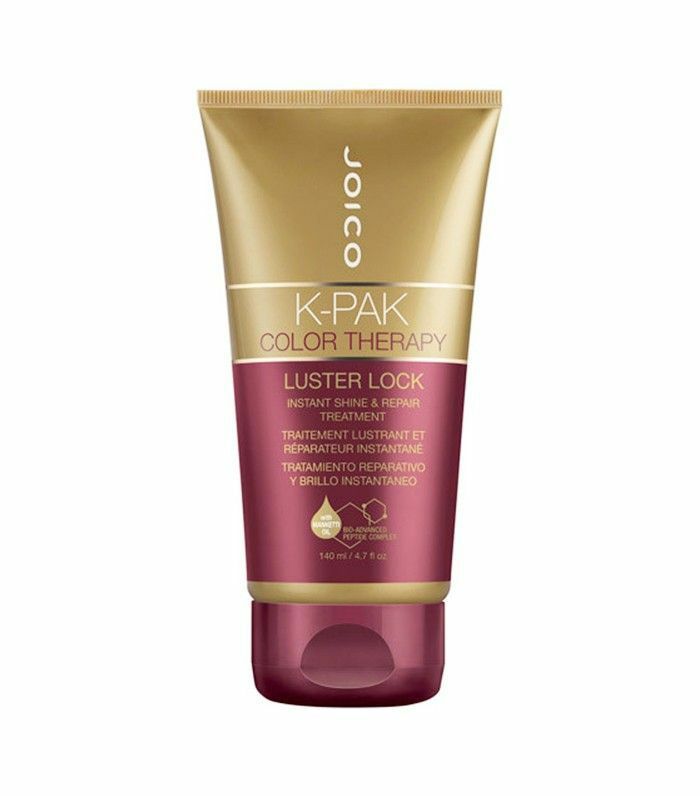 Perfect for color-treated hair, this formula provides high shine and a major boost for color-treated hair while also strengthening your strands and repairing past damage. (Not to mention that it smells as good as your favorite perfume.) Apply it once and marvel at how silky-soft your hair is afterward. If your strands are perpetually dry, consider this the luxe hydrating solution you’ve been searching for. 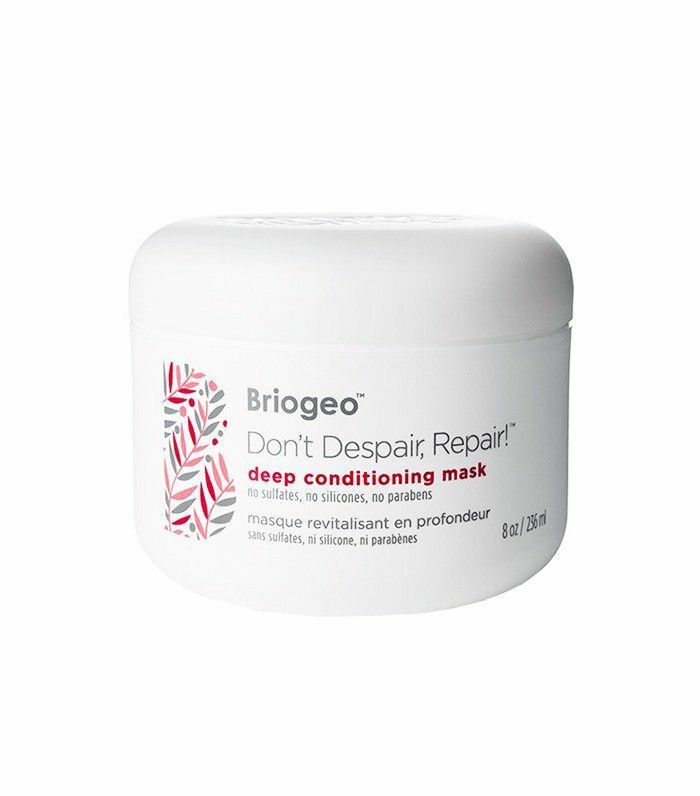 This French mask uses a powerful vegetable protein to nourish and repair dry, damaged hair without weighing it down. Not only will your hair feel the benefits of major moisture, you’ll also feel like you just left a glamorous spa. Plus, the fragrance-free formula ensures you're only getting the good stuff. Can’t seem to put down the bleach or stay away from your straightener? 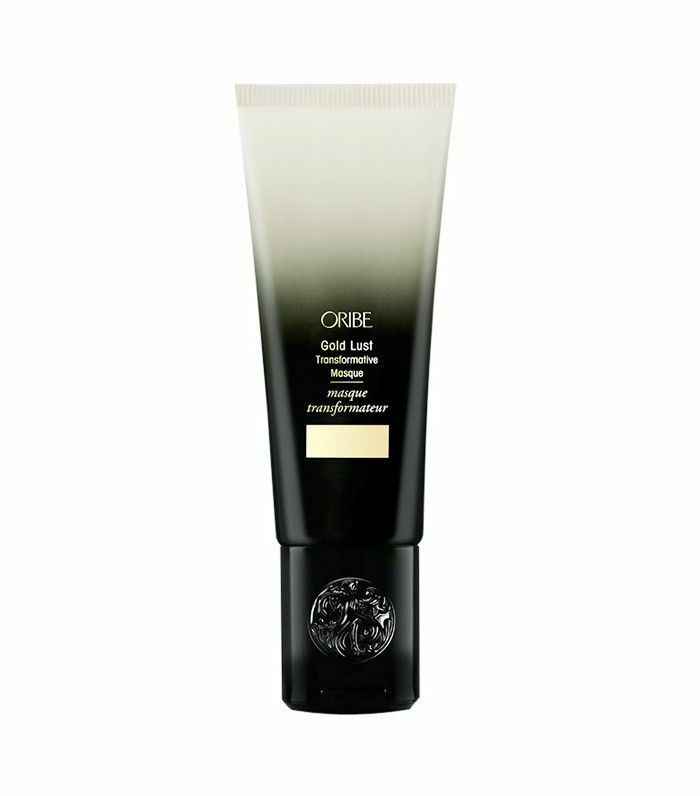 This mask from Oribe is specially made to nourish and condition tired, damaged, strands to reveal soft, vibrant, and healthy hair with the help of white tea, baobab oil, and jasmine. Bonus: It keeps working after you’ve washed it off by providing UV protection. This mask from the classic natural drugstore brand is infused with avocado oil to restore body, shine, and manageability to dry, dull, or damaged hair. 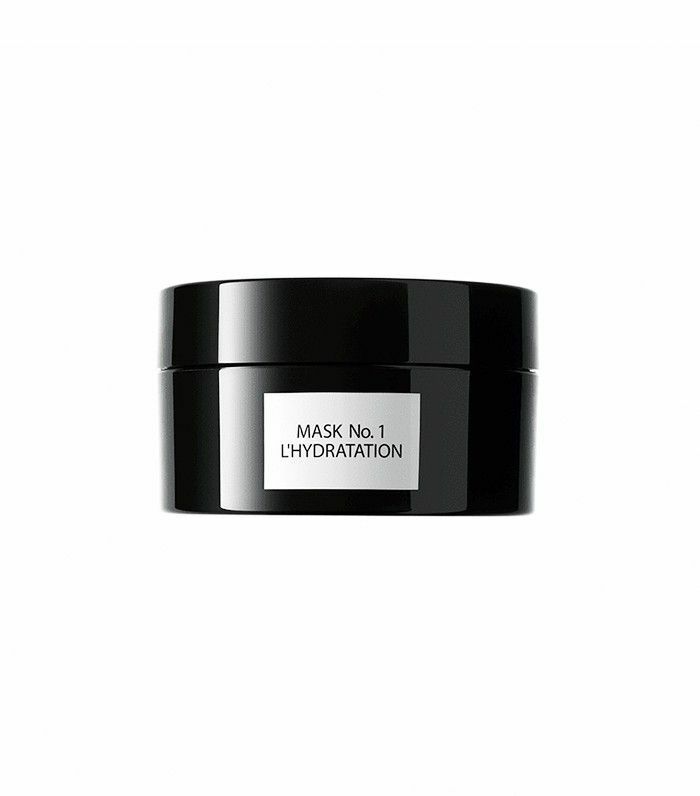 While the label recommends leaving the mask on for 15 minutes, it can also work great as an overnight treatment. We’ve all dreamed of having the flowing, frizz-free, and shiny commercial-worthy hair. 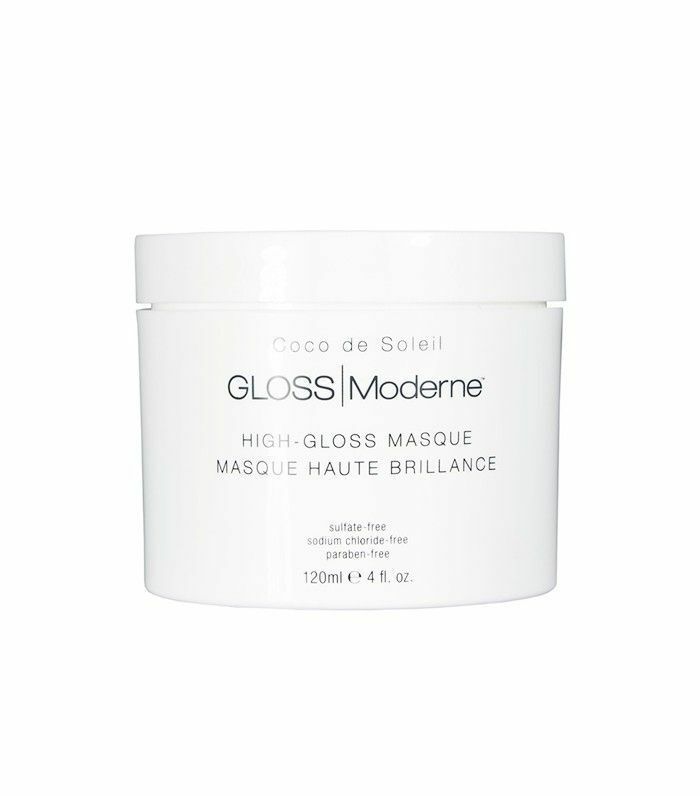 While that kind of perfection may still elude us mere mortals, this luxe mask from Gloss Moderne brings us one step closer to Gisele-level shine. Its main ingredient is high-quality coconut oil, so you can be sure your tresses will be deeply conditioned and nourished, revealing frizz-free, shiny hair fit for the runway. Plus, the palo santo scent is downright intoxicating. This mask is packed with B vitamins, essential oils, and biotin to deeply condition and transform dry, brittle, and overprocessed hair while increasing hair’s elasticity to prevent future breakage. Plus, your glossy and healthy hair won’t be weighed down by this silicone-free formula, making it perfect for curly-haired girls. 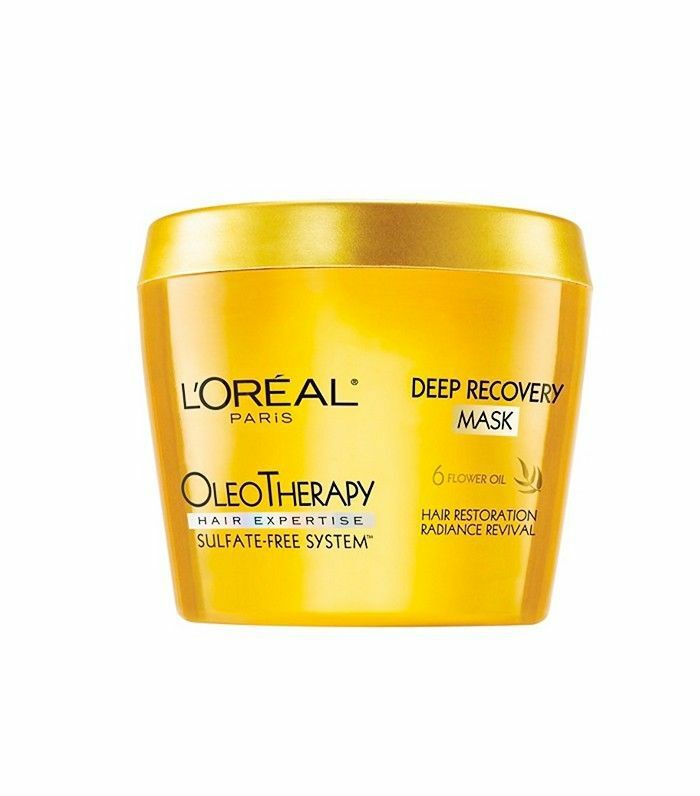 L’Oréal has made the ideal mask for hair-oil lovers. This sulfate-free formula starts out as a balm and melts into a nourishing oil, restoring hair’s radiance and leaving strands soft and smooth. Using this treatment just once a week prevents frizz and keeps hair looking healthy and shiny. Have you tried any of these hair masks? Let us know in the comments below! And for a DIY option, try these at-home remedies for split ends!